Being in New York, I can’t wait for the summer. I hate winter. I hate cold weather. I fundamentally cannot understand anyone from San Diego who says they get bored of the lack of seasons there. In summer, a lot of law firms seem to slow down. With better weather, people are looking to spend more time on vacation or outside. Opposing counsel slow down their pace. Courts shut down. For many firms, summer tends to be a perfect time to work on the big picture projects. 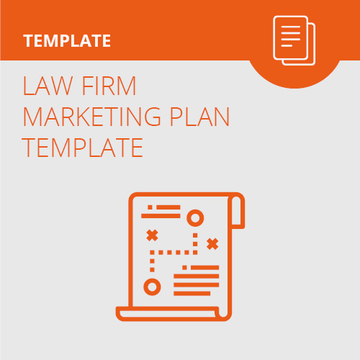 One common project law firms can work on in the summer is rebranding. Rebranding entails freshening up and modernizing the firm’s image. There are different levels of going about a law firm rebrand. You could do something as simple as a new logo. You could update your social profiles. Or, you could go full-on rebrand and redesign your firm’s entire web presence. Here are the law firm rebranding projects you could work on. A lot of firms start out with a sort of placeholder logo. They design something simple themselves and say it’s a “for now” option. Or, they go to a cheap site like Fiverr and get a rather hackneyed design. But, it’s not just those firms that could use a more professional, updated logo. Even firms that spend hundreds of dollars on a logo could use a rebrand over the years. Conglomerates that spend millions of dollars on branding go about rebranding every few years as well. Often, the impetus for a new logo as part of rebranding is modernization. Trends change over time. Now, logos are typically more “flat” and simple instead of elaborate and intricate than they had been only a few years ago. Logos that followed an older trend can look dated in short order. So, how does one go about a new logo design? First, you have to find the right partner to help. If you are running a law firm, you should not also be the creative director of the project. Hire a professional who knows what they are doing and has done many logo designs in the past. It will save you more headache and will be much more worth the cost and time rather than you project managing. The next step is to have a brainstorm session. You will want to discuss the intangibles of your firm’s brand – your firm’s ethos, identity, and themes. You will also need to discuss the creative aspects and preferences such as likes / dislikes, color scheme, and design inspiration. From there, your designer should provide a few mock-ups. Then you will review and refine, and then after another round of mock-ups, select and finalize your new logo. With the new logo, you should put it on your letterhead, swag, website, business cards, the side of your building, etc. Your firm may have claimed its social media profiles. But, is the social presence in line with your firm’s current branding? Often, social media profiles are sparse. They need content to make them stand out and connect with your audience. Share your firm’s story. What sets your firm apart from every other law firm? Also, know that each social media platform has a different audience and purpose. LinkedIn is used primarily for professional connections. Facebook is used primarily to connect with and share content with friends and family. Twitter is used primarily for stalking celebrities and disagreeing with random strangers on the Internet. Knowing the audience of and how people use and interact with different platforms is key to coming up with an effective strategy for your social media presence. The people that interact with you on Twitter are interacting with a different purpose and intent from those on LinkedIn or Facebook. Be mindful of that and ensure that each platform has its own strategy. For your Facebook profile, most of your initial followers will be friends, family, and acquaintances; LinkedIn will be professional colleagues. So, your social profiles should be set up knowing who your audience is, and, importantly, what your goals are. Fill out your social media profiles. Ensure you have good-quality images and content. If you want to show up better in search engine results, you absolutely need to claim and work on your Google Business profile. Like a social media profile, it needs to be filled out extensively. But, your audience here is potential clients. Ensure that you have your office hours listed. Upload photos of your firm’s staff and your office location. Also, you can now share blog posts and recent articles on your Google Business profile. Do that. Share articles. Stay current. It helps you look better to potential clients. The most ambitious project for a rebrand is a website redesign. Whatever the impetus may be, a website redesign needs to go about the right way. The firm needs to have clear objectives and goals laid out from the beginning. The partnering web design agency will need to take inventory of your current site for the redesign and ensure that the redesign meets the goals of your law firm rebranding, while also ensuring no technical interruptions or issues in the transition. 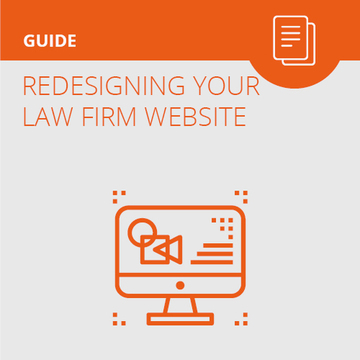 We have a list of things to consider with your website redesign in our extensive law firm website redesign guide. As your law firm looks to rebrand, these tips should help you find success, whether you are looking to work on a new logo, website, or search or social media presence.